It can be stressful to move. Moving requires that you pack all your belongings, store some of your most important things and move to a brand new place. While change is good for us, it can come with its own stresses. If you plan ahead, it will help your move become a more organized and stress-free experience. Be sure to hire a top-quality team of Baldwin Park movers so you can be assured they have the local expertise you’re looking for. As you get ready to move, you want to do your research about movers. Whether you’re moving to Baldwin Park or somewhere else around the Los Angeles metro, there are certain factors you’ll want to consider as you’re choosing your team of moving professionals. We pride ourselves at A & A Moving in offering the best-in-class moving services for a competitive price. 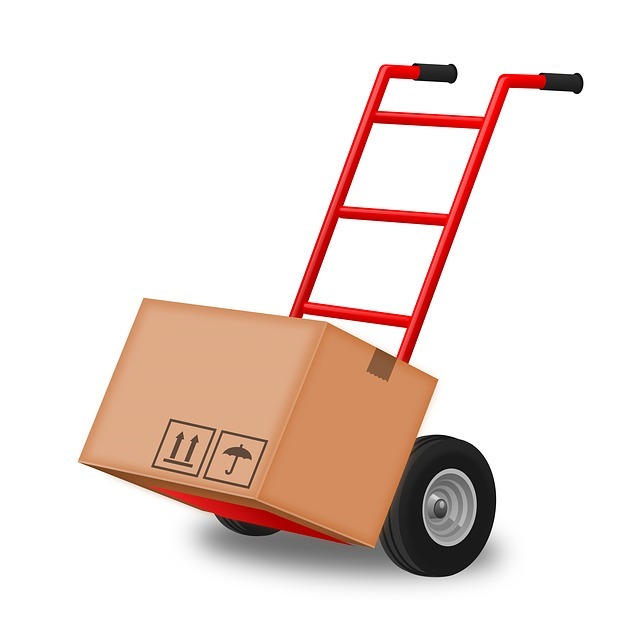 To help make moving as affordable as possible for you, we offer different packages of services. That way, you can customize what we offer you according to your needs. Don’t be fooled by competitor’s low rates. They often have hidden fees that may not be shared with you upfront. We never have extra charges for going up elevators or stairs. We don’t charge mileage fees. We don’t charge you for using dollies and moving pads. We offer you a free wardrobe box. We don’t charge extra for any taxes we get. If you’re thinking about relocating to Baldwin Park, you are in for a real treat. The area is centrally located in the beautiful San Gan Gabriel Valley. The commute times to downtown Los Angeles and San Fernando Valley are relatively short, and there’s a Metrolink stop right in the heart of Baldwin Park. Commuting on the Metrolink from Baldwin Park to downtown’s Union Station takes only about 35 minutes. Baldwin Park has its own school district and police department, and the city has a contract with Los Angeles for fire and rescue services. When you live in Baldwin Park, you get the best of both worlds. It’s a small town next to a large, major metropolitan area. You get the friendliness of a small town and the cultural attractions of a major city conveniently located nearby. Baldwin Park is proud to be the home of the original In-N-Out Burger, the first drive-through restaurant in California. There’s an exact replica of the original 1948 In-N-Out burger shack. Do you love the outdoors? The Santa Fe Dam Recreational Area is just a quick 15-minute drive. You can also enjoy the nearby Whittier Turnbull Canyon Hiking Trail. Do you have any culture and history fans in the family? Try Baldwin Park Historical Museum or the American Military Museum. You can learn all about the history of Baldwin Park, a town named for Elias “Lucky” Baldwin in 1906. We know a thing or two about making a successful move. After all, A & A Moving has been moving people throughout the Los Angeles metropolitan area for over 50 years. In that time, we’ve learned there are certain tips you should incorporate to make the move go easier on you, on your family and pets, and on your belongings. It takes less time to move the big items, like large pieces of furniture. 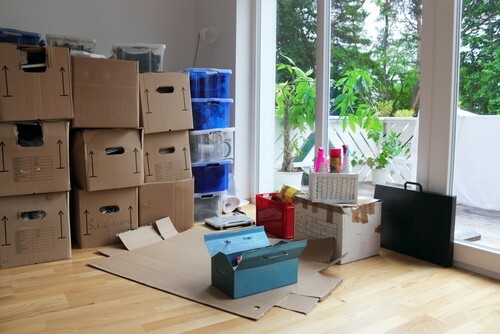 You’ll find that in order to remain organized, you want to start packing your smaller items that you use less frequently as soon as you discover you’re about to move. • Order all sizes of boxes. It’s easier to keep items organized if you pack them into small-to-medium sized boxes. Boxes are superior to bags for most items. They can be stacked easily and they protect your belongings better. • We never charge for wardrobe boxes and other little extras. We realize that in Southern California you have a choice in moving companies. It’s our goal to make sure not only that you enjoy our movers and their professionalism, but that you’ll tell all your friends about the superior job we perform. • We give you free protective blankets for your furniture. It’s better if you protect your larger furniture items from scratches and breakage. That’s why we always supply furniture protectors free of charge. • Don’t forget your other packing materials. You’ll discover that it’s easier to keep your move organized when you have a game plan. Make a list of everything, whether on the computer, your smartphone or on paper. It’s far more convenient to move things around on paper before you physically haul things from one place to another. Keep a list including serial numbers and warranties for your valuable items. Remember tape, labels and stuffing material like packing popcorn. • Keep all your fragile and breakable items together. Be sure to label all your fragile items and keep them grouped together. Then you can decide whether you want to take fragile items in your car, or if you want to handle breakable items separately. At A & A Moving, we have been serving the Los Angeles metro since 1966. For more than 50 years, we’ve been helping families in Los Angeles County, San Bernadino County, Ventura County, and Orange County move safely and securely. We pride ourselves in offering several moving options to give you choices that are affordable and flexible. Our experienced and professional movers are all licensed and insured. We treat your home’s belongings with the respect they deserve. Contact us today, and find out everything we can do to make your move an easy one.